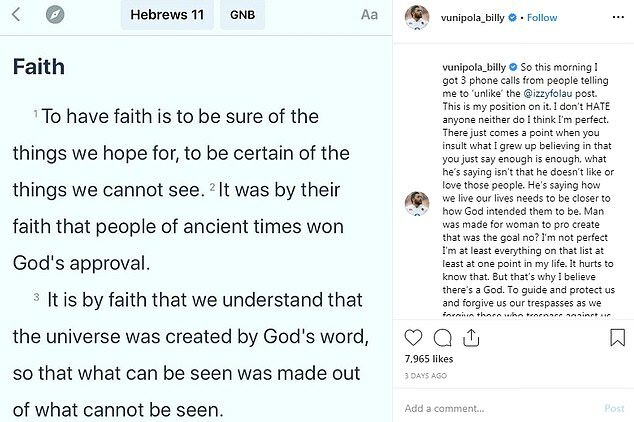 Billy Vunipola has been summoned for talks with the Rugby Football Union after he backed an Australian player’s homophobic comments with an Instagram post reading: ‘Man was made for woman to procreate’. On Saturday the 26-year-old, whose mother is a Methodist minister, was booed during his appearance as a second-half replacement against Bristol, who also played gay anthem ‘It’s Raining Men’ on their PA system. The club’s director of rugby Mark McCall said ‘I’m sure there’s stuff going on in his head’ but will pick him for Saturday’s European semi-final against Munster at Allianz Park. 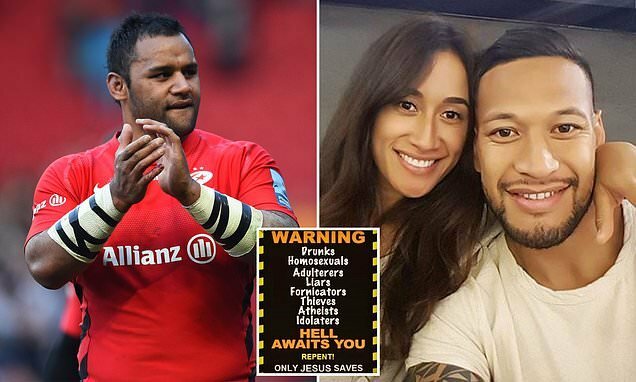 Peter Lynas, a spokesperson for the Evangelical Alliance – the oldest and largest evangelical unity movement in the UK – defended Vunipola’s position and asked whether religious beliefs are also being accommodated by rugby’s drive for diversity. 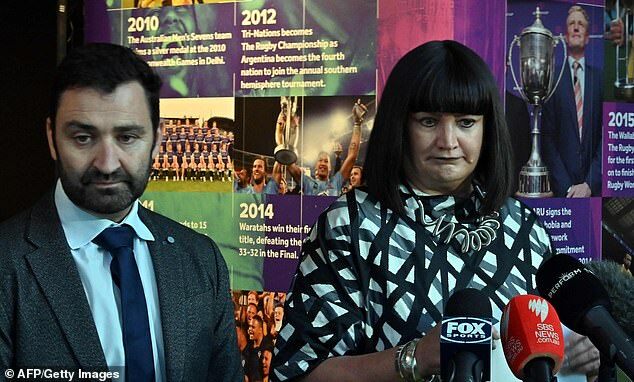 ‘Billy Vunipola has expressed the view of evangelical Christians on marriage and quoted the Bible in the process,’ Lynas said. ‘He made clear in his post that he was far from perfect himself and doesn’t hate anyone. For this he is now being condemned and threatened with disciplinary action. 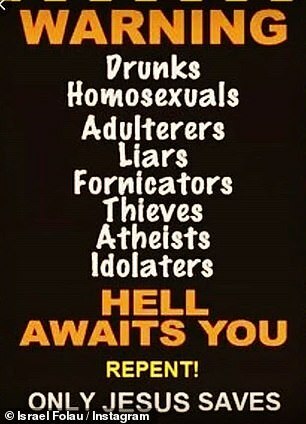 ‘Is he being disciplined for quoting scripture? For holding orthodox Christian beliefs or just for expressing them? Do rugby players have freedom of religion or is this another faith-free zone? 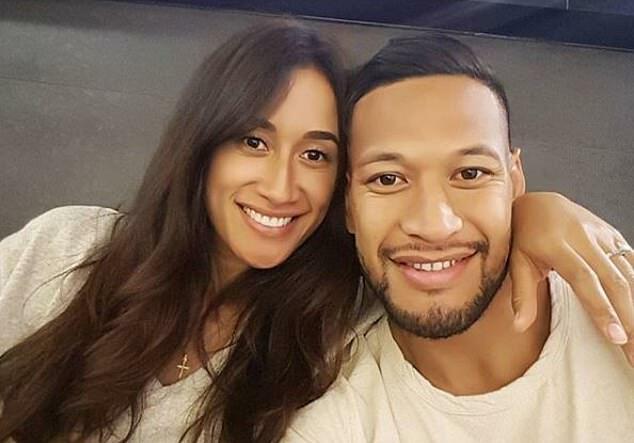 Referring to Folau, Rugby Australia boss Raelene Castle said: ‘Following the events of last year, Israel was warned formally and repeatedly about the expectations of him as player for the Wallabies and NSW Waratahs with regards to social media use and he has failed to meet those obligations. ‘All professional Rugby players in Australia are bound by the Code of Conduct and there is a process in place for any disciplinary matter. 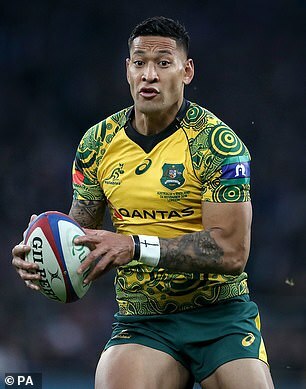 Folau’s club side, New South Wales Waratahs, have also dropped him and clubs in Europe will be wary of signing him, leaving his entire career in doubt. He has scored 32 tries in 62 matches for Australia and his sacking would be a massive blow to coach Michael Cheika at this year’s Rugby World Cup in Japan. But Wallabies coach Cheika said earlier on Monday that he would not be able to pick Folau again due to the ‘disrespectful’ social media posts. ‘We had a discussion after the last time and made it pretty clear about his right to believe and our support in that, if that’s what he wants, to be part of the team,’ Cheika added.